You cant see it super good, but the shadows by the stairs are flickering wildly. Are you forcing anti aliasing somewhere? 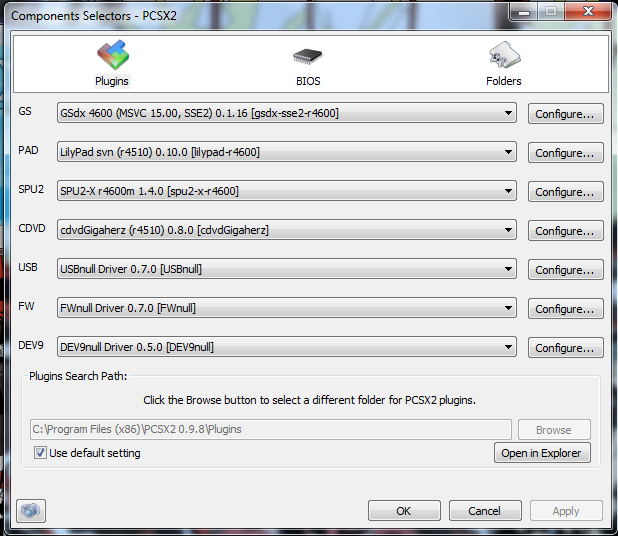 (02-04-2012, 07:24 PM)KrossX Wrote: Are you forcing anti aliasing somewhere? 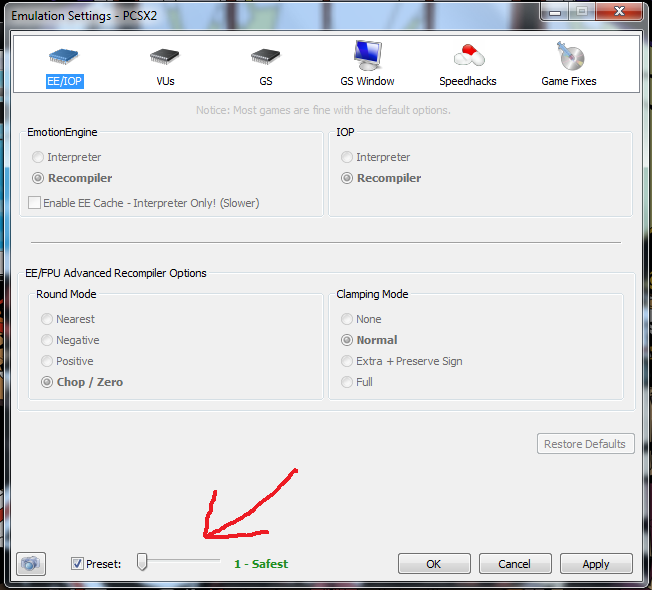 Where would i find that setting in pcsx2? 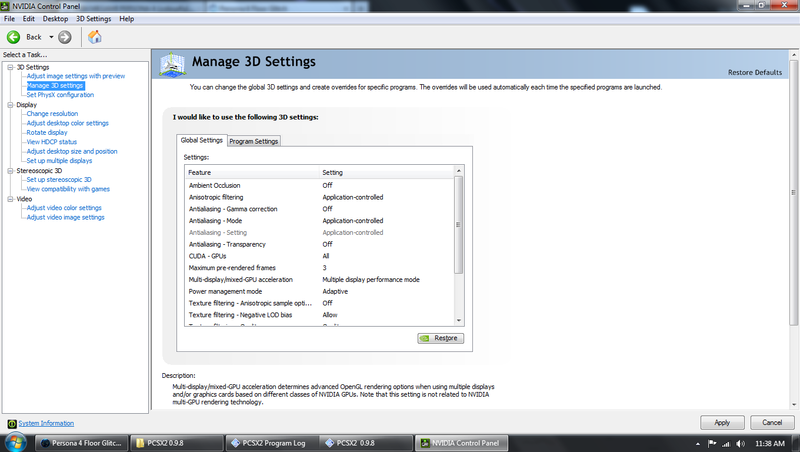 Also, here is a screenshot of my NVidia control panel 3D Settings. Well, the flickering weird floor in that game usually appeared to me when using HW AA. Yet, I enabled that using the hacks panel that you have hidden. Check the msaa entry on your GSDX.ini just to be sure. 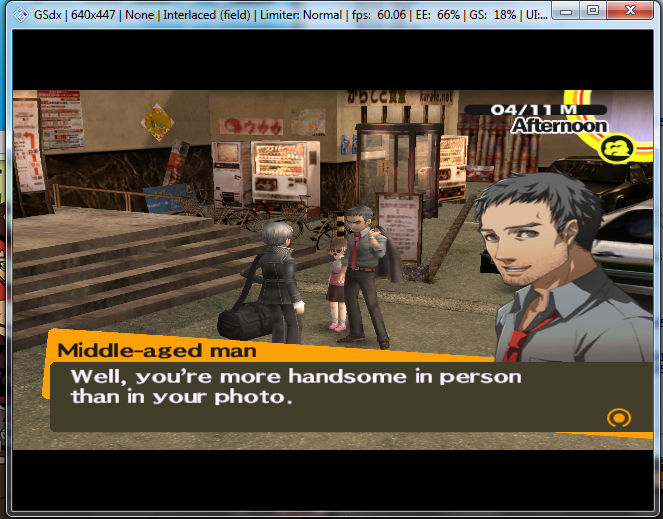 Other than that, I don't remember of another thing that could trigger that. Sorry. There is a bug there hat appeared at some point in the beginning of the game there. Right where he is showing. I haven't come across it again though I haven't been all that deep in the game.